If anything, Markus Schulz is knows how to make good use of the momentum. And so he does, with his latest piece of 'Remember This'. A 'Buenos Aires '13' original, adding a bit of magic to the moment. 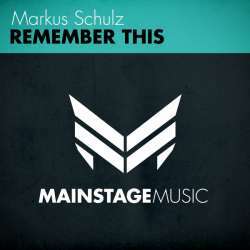 Whether it lures you in with its taunting bassline, or moves you with its surprisingly melodic core, 'Remember This' will take you. Following the 'Scream' beauties of 'Tempted' and 'Nothing Without Me', this one's got the Schulz effect in all its glory. Requested for the Corsten's Countdown 2013 NYE special by: Martin Lístek Rudolf, Dmitry, Pablo Porras B.